I’ve already written about cheese, when I celebrated the pairing of a fresh goat’s cheese and a Premium Bao Zhong. 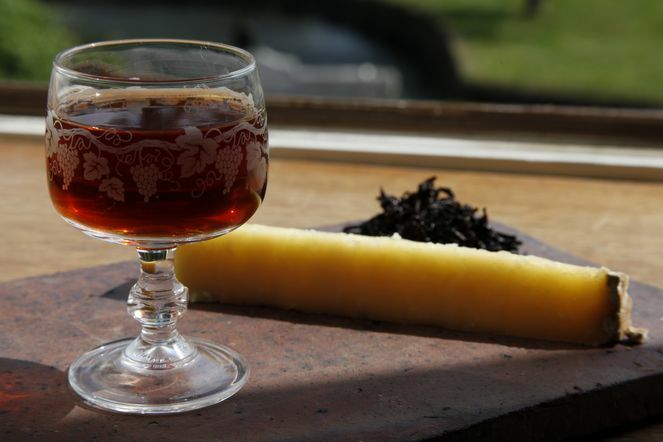 Today I’m recommending another combination: a Cantal Vieux and a Bourgeon de Pu Er. The tea is infused hot, as usual, but it’s best to then let it cool and drink it at room temperature. This allows you to prepare your tea a few hours before the meal, keeping it in your teapot. To serve, I suggest a small clear carafe and liqueur glasses. Your guests will be amazed! I’m sure they’ll appreciate the richness of this accord, the balance and harmony between the woody, undergrowth and animal notes of the Pu Er and the notes of the Cantal Vieux.